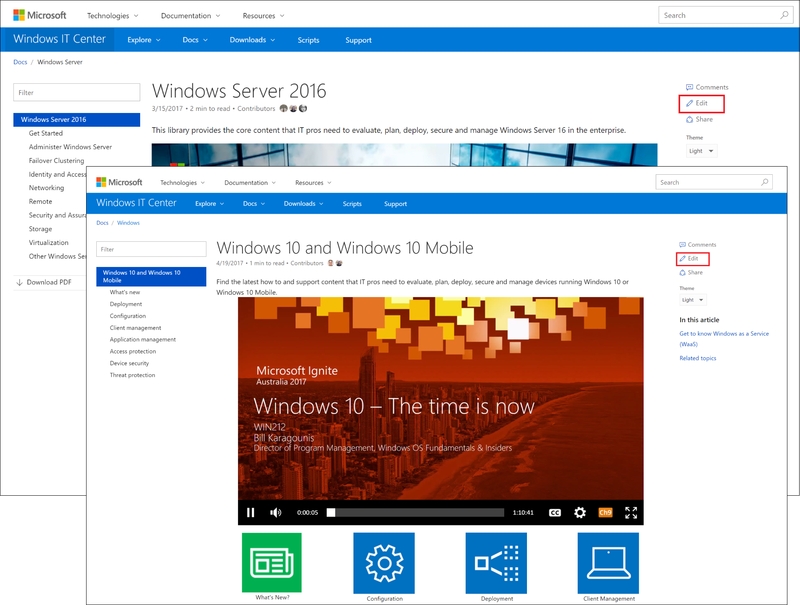 We’re excited to announce the availability of the IT pro technical documentation for Windows Server 2016 and Windows 10 and Windows 10 Mobile on docs.microsoft.com. As part of this release, we’ve also migrated the technical documentation for Microsoft Edge, Internet Explorer 11, Windows Store for Business, Education, Surface, Surface Hub, and HoloLens. A more modern, community-oriented experience that’s open to your direct contribution and feedback. Improved content discoverability and navigation, getting you to the content you need - fast. In article Comments and inline feedback. Downloadable PDF versions of key IT pro content collections and scenarios. To see this in action, browse to the recently released Performance Tuning Guidelines for Windows Server 2016 articles, and click Download PDF. Active and ongoing site improvements, including new features, based on your direct feedback. 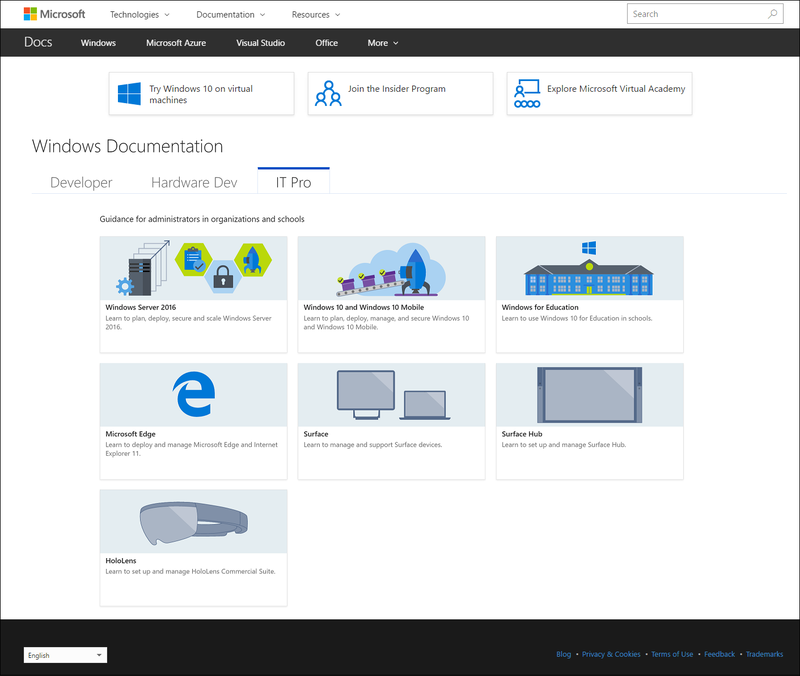 Check out the November 2016 platform update post to see the latest features on docs.microsoft.com. We recognize that customers are eager to share best practices, optimizations, and samples with the larger IT pro community. Docs.microsoft.com makes contribution easy. Community contributions are open for our content sets and we’re hoping to hear from you. Learn more about editing an existing IT pro article. We want you to have a great experience on docs.microsoft.com. Please give us your feedback.